Librarians from across the country attended a four-day workshop at the National Library in the capital last week. The theme of the workshop this year was—‘Giving users the keys to the library’ which was conducted with the objective to empower libraries and librarians across the country to be the agents of the change and at the same time give due recognition to the profession that it deserves. The Deputy Chief Librarian with the National Library, Sonam Yudon who was also the coordinator of the workshop said that a study was carried out in 2015 where it was found that there were only 11 professionally trained librarians in the whole country. Sonam Yudon said that the general perception concerning librarians today in the country is synonymous to a storekeeper and lacks respect and importance that the profession so dearly deserves. “We would like to bring to notice the important roles that librarians can play in contributing to the national goals by aligning library activities with the students accordingly. We have been conducting similar workshops annually since 2016 and we found that there are so many activities initiated by the school libraries that are contributing to our national goals like achieving 100 percent literacy rate, preservation and promotion of culture, improving the quality of education, women empowerment, bridging the gender gaps among so many other similar contributions,” said Sonam Yudon. A library assistant with the Jigme Namgyel Engineering College (JNEC), Tshering Yangzom said that most libraries under the Royal University of Bhutan (RUB) are not only well equipped with wide range of books to cater to every need of the students but the physical space and some of the modern designs have also been incorporated to create a conducive learning environment. “However, as expressed by many of the librarians working for schools across the country, libraries in some schools are not given the importance it deserves. Moreover, initiatives and opportunities for professional development of the librarians in the country are second to none, or very limited. I’ve attended a couple of workshops in the recent years in about 12 years of my service and I have learned that there is a lot of potential in the librarians to bring about positive changes— we just didn’t know how to tap into it before,” said Tshering Yangzom. Sonam Yudon said that librarians in some of the schools are overburdened with substitution classes and other activities which affect their schedule in managing the libraries efficiently. She also added that the mode of operation of libraries in some of the schools is very primitive, which she needs to change in this digital world. Some of the participants shared that digitalization is a farfetched dream as their school libraries are deprived of even a basic computer to maintain records of the books where everything has to be operated manually. They also expressed that infrastructural development of the libraries should also be prioritized and not be sidelined by the policy maker as that is also nation building. The National Library in the capital has also initiated the establishment of library corners at Supreme Court, National Assembly among other institutions to realize the national goal of an informed society. The Library caters to readers from all backgrounds, although Sonam Yudon said researchers and tourist dominate the visitor list. The lone public library in the capital, Jigme Dorji Wangchuk Public Library (JDWPL) has also been putting up proposals over the years to the municipality for infrastructure development and is awaiting relocation to the city hall in the future. Chandra Gurung, Library Assistant with the JDWPL for over 25 years said also believes that professional development activities for librarians are very limited. She said after the reading programs were initiated in 2005, there has been a very gradual increase in the readership pattern over the years. The library currently has 1500 registered members of which 800 are active members and is equipped with over 26,000 books of different genres. The library is managed by two Assistant Librarians. 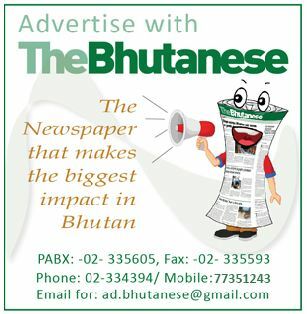 The writer is the Chief Reporter of The Bhutanese.